We are open for submissions for issue 2! We also accept artwork, and what about something a bit different, like a puzzle or cartoon related to the life sciences and your studies. 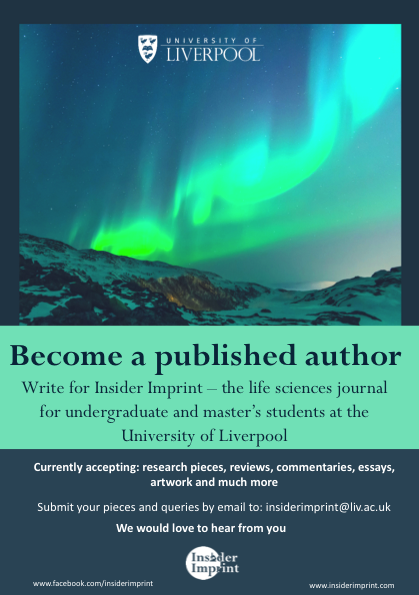 Newer PostIssue 2 deadline 17th December 2018! Older PostRecruiting new members for editorial team!